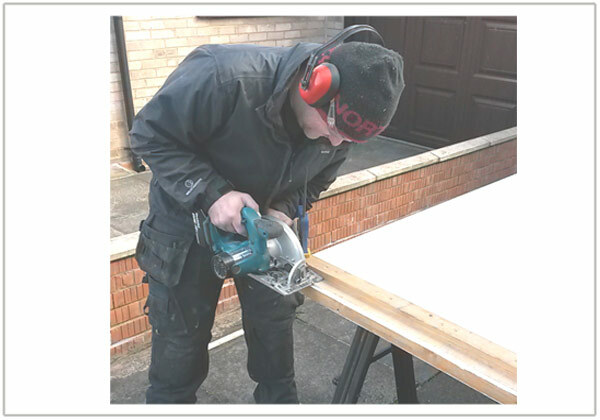 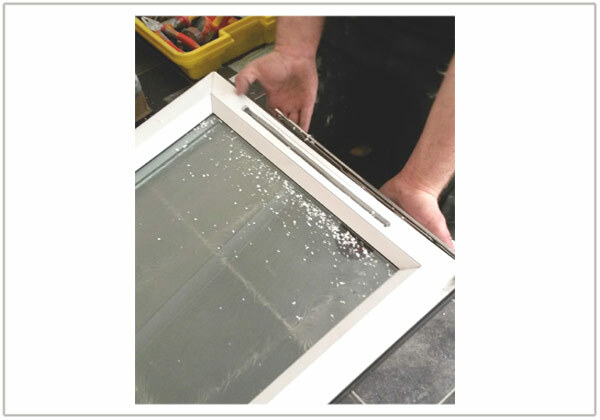 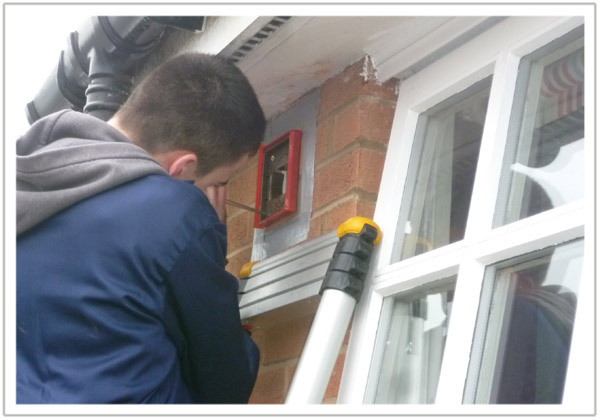 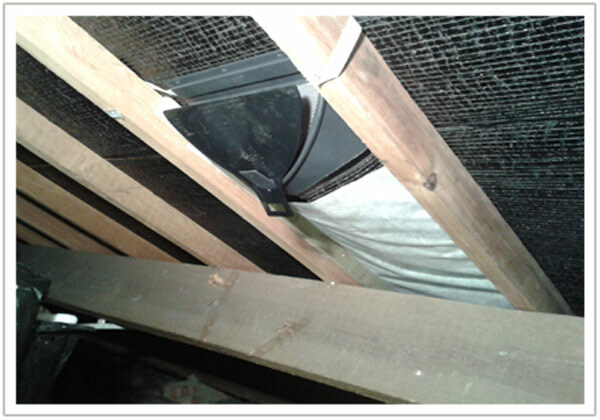 Government guidance on ventilation recommends leaving a small gap beneath doors. 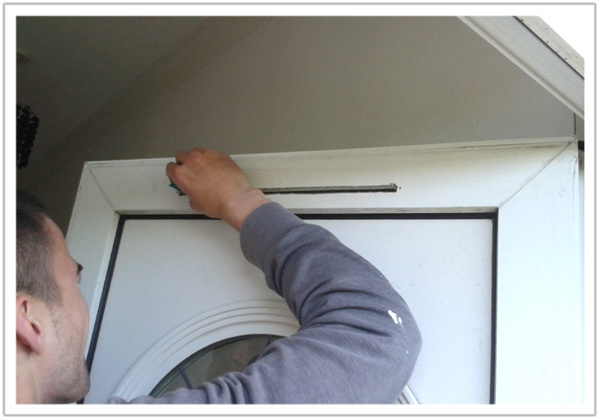 Where a door is tight to the carpet, trimming the bottom will aid air circulation. 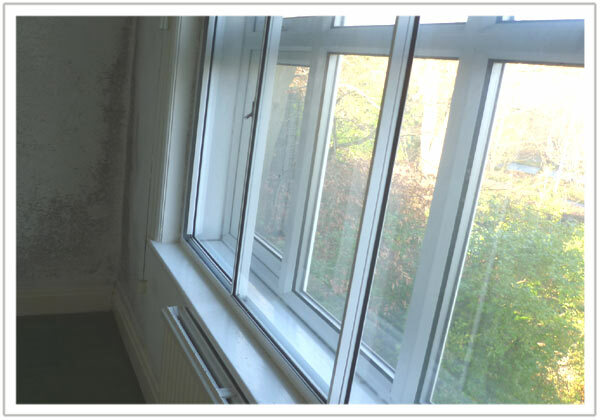 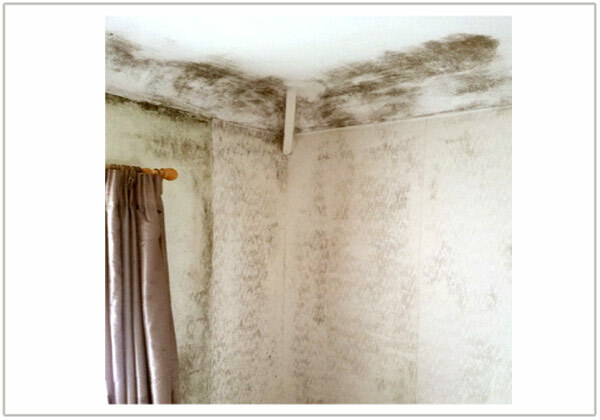 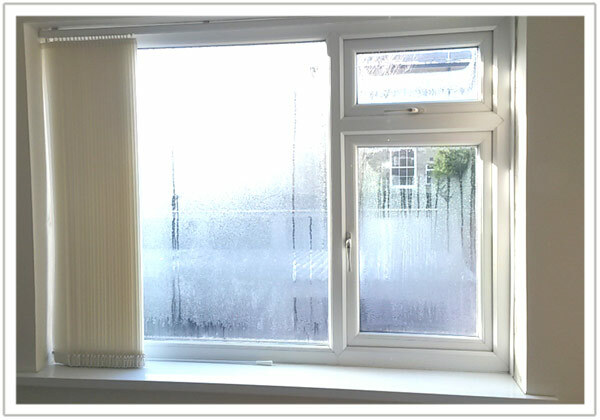 Dehumidifiers are not an effective solution for condensation and mould problems. 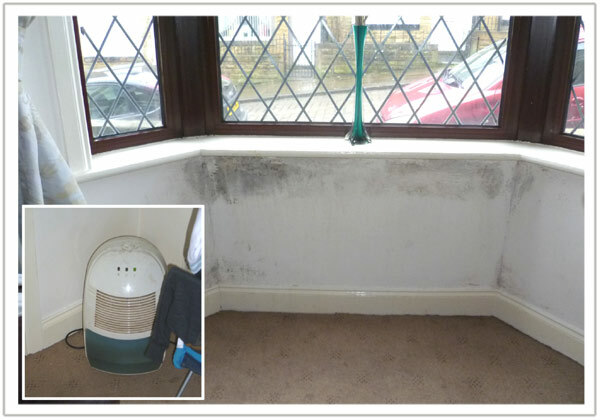 The hallway of this house in Huddersfield was prone to mould. 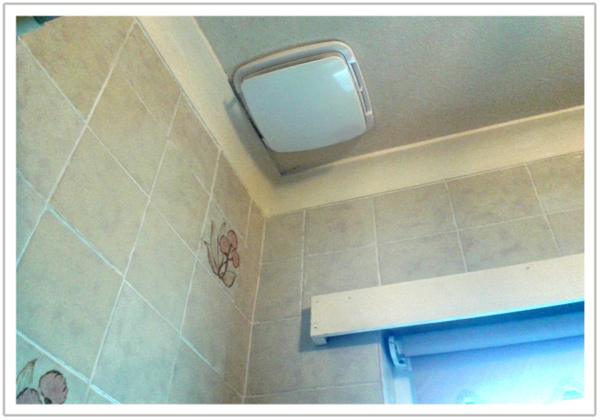 This bathroom fan vents directly into the loft and has caused the roof timbers to become damp. 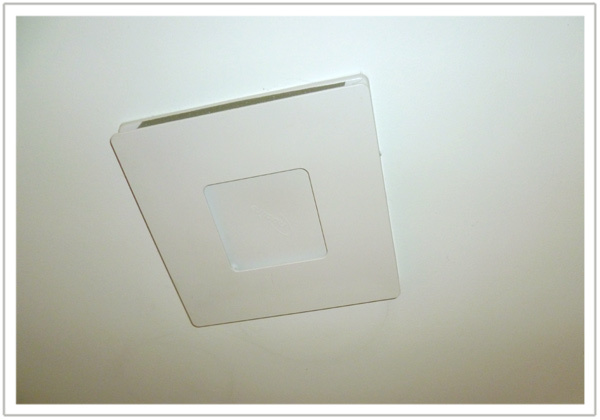 - which filled with condensed water and dripped back into the fan. 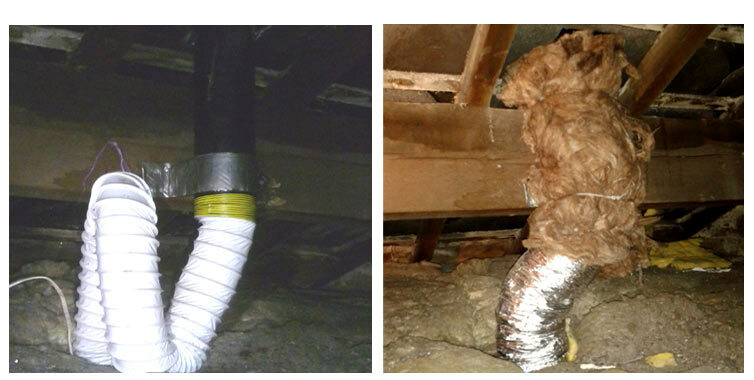 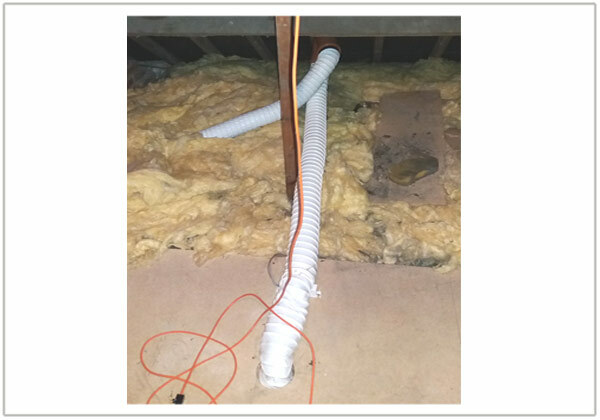 used insulated ducting and wrapped insulation around the rigid pipe. 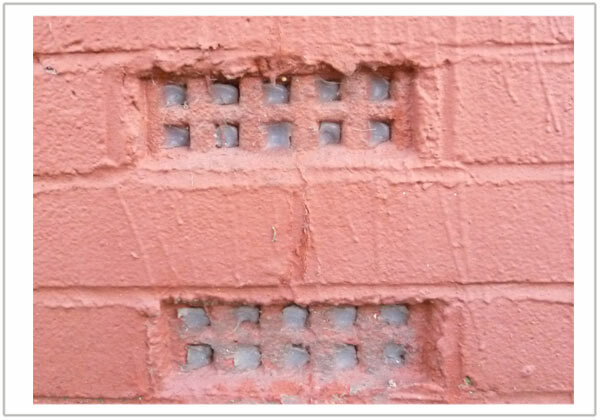 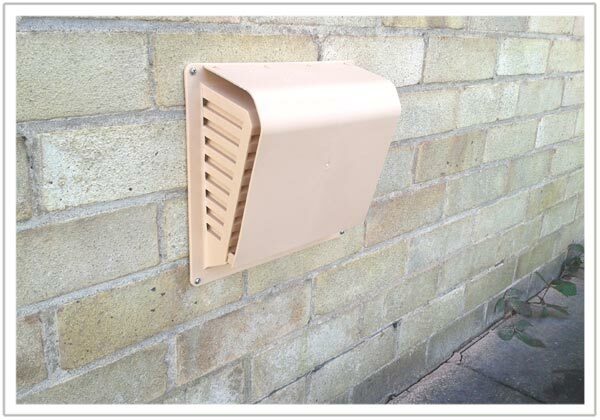 These air bricks are positioned at the bottom of the wall and feed air to underneath the timber floor. 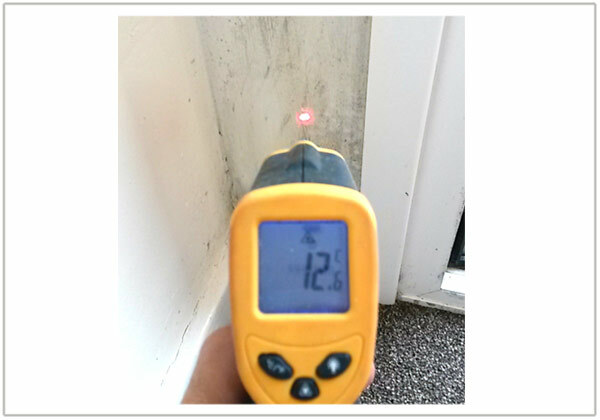 Sealing them increases the likelihood of rot in the floor timbers and contributed to the mould problem in the flat. 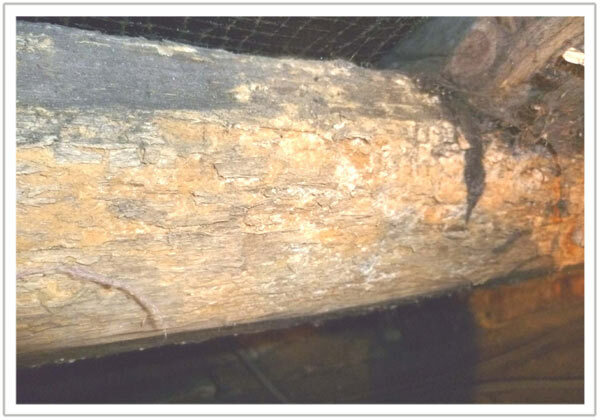 This loft has been air-tight for many years and the roof timbers have become very damp. 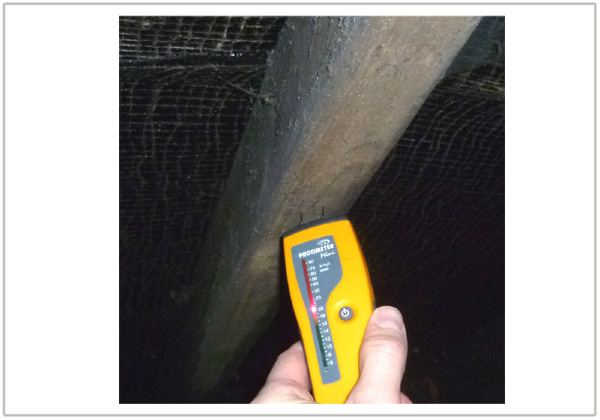 The meter reading is in the 'red' zone, meaning high water content.